Misconception location data and all logistics business goes bankrupt. In order to prevent Your company from it we recommend You portable “T-WIN” GPS tracking device. A motor with embedded vehicle tracking unit leads to successful fleet management. 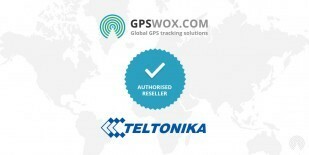 T-WIN GPS Tracker devices support GPS Tracking Software provided by GPSWOX. We are offering affordable price for T-WIN GPS Tracker online. Do not wait and get your own T-WIN GPS Tracker device which support GPS Tracking Software.